On August 23, 2017, a federal court struck down a Texas voter ID law that intentionally discriminated against Black and Latino voters. The dispute began when Texas enacted a voter identification law, SB 14, in 2011. In 2014, a federal trial court ruled that SB 14 violated the Voting Rights Act and the U.S. Constitution by disproportionately burdening minorities’ right to vote. Voters were required to present one of the following: a Texas driver’s license or personal identification card issued by the Department of Public Safety (“DPS”); a U.S. military identification card with a photograph; a U.S. citizenship certificate with a photo; a U.S. passport; a license to carry a concealed handgun issued by DPS; or an Election Identification Certificate (“EIC”) issued by DPS. To obtain an EIC Texas residents were required to present either: one form of primary ID, two forms of secondary ID, or one form of secondary ID and two pieces of supporting identification. This meant that any application for an EIC required either a Texas driver’s license or personal identification card or one of the documents listed below, accompanied by two forms of supporting identification. A civil action was filed and the judge held that the law disproportionately burdened minorities’ right to vote and was enacted with the purpose of disenfranchising minorities. The decision was appealed and in 2015 a panel of judges for the 5th U.S. Circuit Court of Appeals agreed that SB 14 was unlawful. Texas appealed, but in 2016, the full 5th Circuit, sitting en banc, ruled that the measure unlawfully imposed a disproportionate burden on minority voters. The appeals court sent the case back to trial court to reevaluate whether Texas passed the law with an intent to discriminate. In the interim Texas legislators enacted SB 5 as a solution to the problems with the original law. 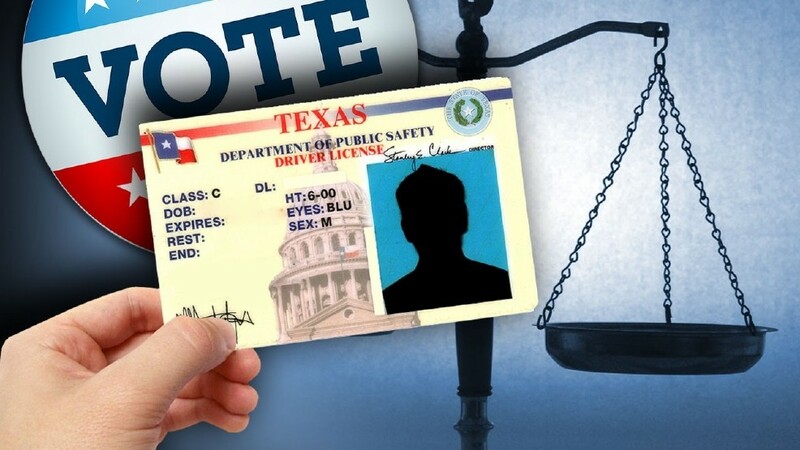 The new law allows Texans without a photo ID to vote if they present alternate forms of ID and sign affidavits swearing a “reasonable impediment” kept them from obtaining the proper ID. Those voters could present documents such as utility bills, bank statements or paychecks to confirm their identification. Those found to have lied about not possessing the proper photo ID could be charged with a state jail felony, which carries a penalty of 180 days to two years in jail. Under the new law, the permissible IDs remained the same as the earlier law. Minority groups suing the state asked the court to enjoin the new law, saying it was still discriminatory because lawmakers did not expand the list of acceptable IDs. On August 23rd the trial court agreed, saying "SB 5 perpetuates the selection of types of ID most likely to be possessed by Anglo voters and, disproportionately, not possessed by Hispanics and African-Americans." The judge also wrote “SB 5 does not meaningfully expand the types of photo IDs that can qualify. 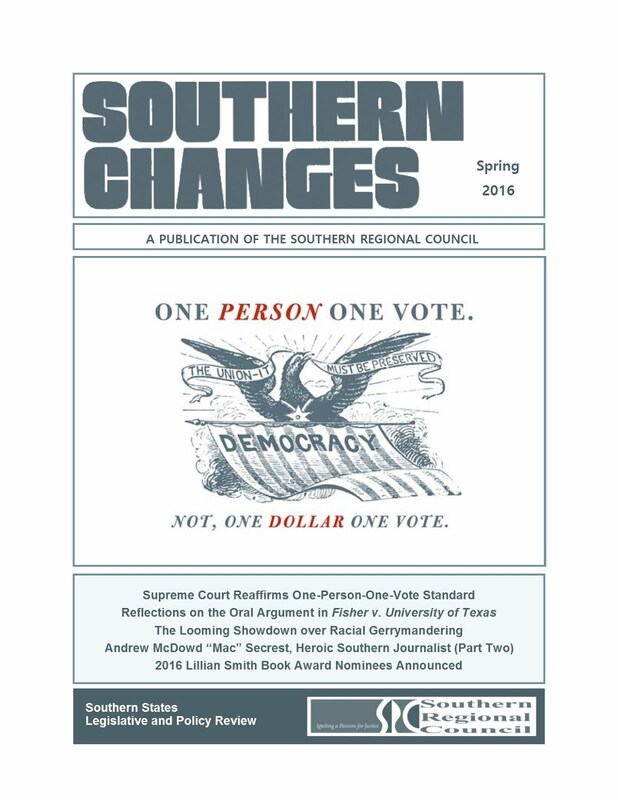 Even though the Court was clearly critical of Texas having the most restrictive list in the country,” the judge concluded, "Not one of the discriminatory features of [the old law] is fully ameliorated by the terms of SB 5…SB 5's process for voters without proper ID trades one obstacle to voting with another—replacing the lack of qualified photo ID with an overreaching affidavit threatening severe penalties for perjury." This decision was the eighth finding of intentional discrimination by courts against Texas since 2011. Voter identification laws are a part of an ongoing strategy to deprive citizens of their right to vote and reduce participation in elections. Many Americans do not have one of the forms of identification that states require. These voters are disproportionately low-income, racial and ethnic minorities. By instituting strict voter ID laws, states can alter the electorate and shift outcomes toward conservatives. These strict ID laws are passed almost exclusively by Republican dominated legislatures. We think about public libraries as places of education and culture that are open to all – among the most democratic institutions in our society. Cheryl Knott helps us to understand that in pre-civil rights America and in the South in particular, there was a massive exception, as millions of African Americans were excluded from their communities’ white libraries. Librarians understand library segregation as undermining intellectual freedom more than any other factor in the 20th century. But the history of segregation in public libraries also has been a significantly under-told story in the larger struggle for social justice in America. Imagine barring citizens from public libraries, forbidding their access to the knowledge that they need to learn and to improve their lives, solely on the basis of their race . 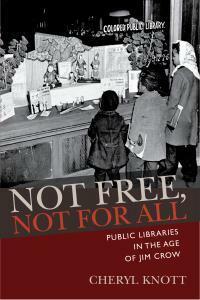 Our jury selected Cheryl Knott and her Not Free, Not For All: Public Libraries in the Age of Jim Crow for a 2016 Lillian Smith Book Award. Dr. Knott is an Associate Professor in the School of Information at the University of Arizona. Her book helps us to understand how Southern public libraries developed in a pattern dictated by a segregated society and the ways in which African Americans pushed against institutionalized racism to create educational opportunities for themselves and for their children. 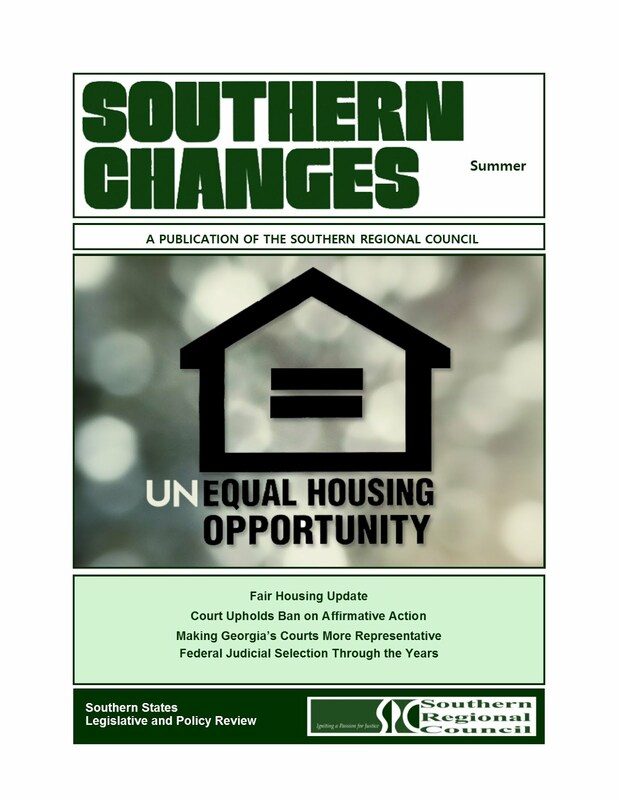 Thank you to the Southern Regional Council, to its president Charles Johnson, to the Chair of the Selection Committee Mary Twining Baird and to all of the Selection Committee members. This award means a lot. I am also especially thrilled to be able to have this award presented by Toby Graham, who has been an inspiration to me. His own work on segregated libraries in Alabama has won numerous awards and it’s really his interest in the shifting sands of information access that continued to motivate me as I was working on this book. I also am especially pleased to be able to accept the award the same year that Dr. Minion K. C. Morrison is receiving one of numerous awards for his books. I was happy when I read his preface where he talked about this massive work taking fifteen years to do. My own work took longer than that to bring into print and yet in his fifteen year time period he also wrote another book. So I need to get busy. I am truly inspired by the people that I’ve met and who are involved in this book festival and this book award. I think of everyone here as readers. And when I’m writing I think of scholars like Dr. Morrison and Dr. Graham who have set a very high bar , so it’s their fault that it took me so long. But there is another category of reader, and those are the readers who are committed to the life of the mind, active public library users, and book festival goers. Those of us who are public library users love to read and reflect and enjoy, but I think sometimes we may take public libraries for granted . 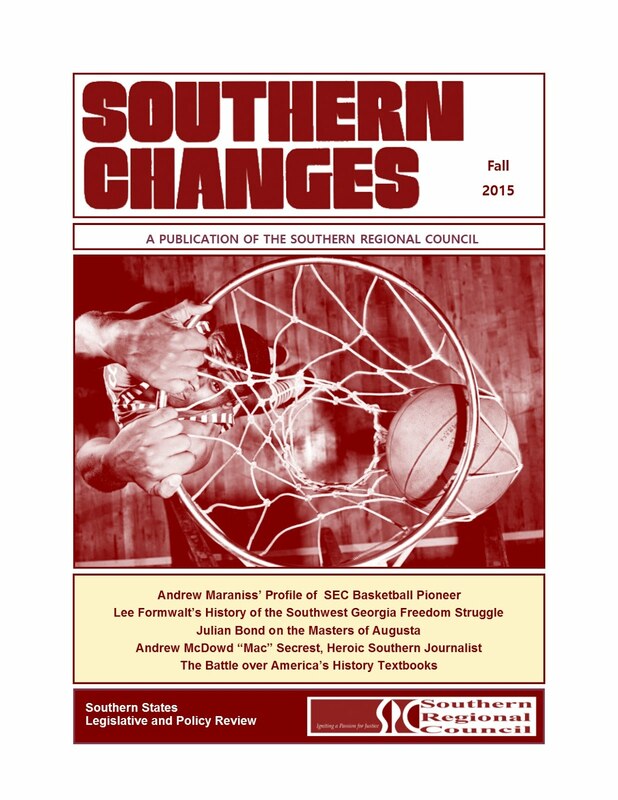 We don’t think of their histories of their past practices and policies. The last time I went to the Houston Public Library to use the archive s to do some double-checking on some of the records regarding the Carnegie colored library, as it was called, the library was celebrating its founding with an exhibit. Front and center in the exhibit was a huge photographic print of the women who had taken a leadership role in transforming an existing private fee-based collection in to an important public library in a major city. They were instrumental in securing Carnegie funding for the building and convincing city officials to earmark tax money for maintenance of the building and the collection. The exhibit was in the lobby of the library and between the front t door and the archive where the records were stored. The exhibit as in a position so that you had to walk through it to get to the archives reading room and, as I walked through past this huge photo of these white women in the 1890s to get to the archives it struck me as ironic in effect that they stood between me and this archive - this hidden record . There is no question that these women accomplished something significant and major. They created a municipal institution that still exists today that serves its community well and that is important and they did that twenty years before they had the right to vote . At the same time I think they missed an opportunity - to put it the most charitable way possible – to acknowledge and support a key American value, and that is information access . Their library, like so many across the South (including in Atlanta), was not open to African-Americans . Houston’s African-Americans went ten years more without access to a public library and then lived forty years with segregated branches and small collections. 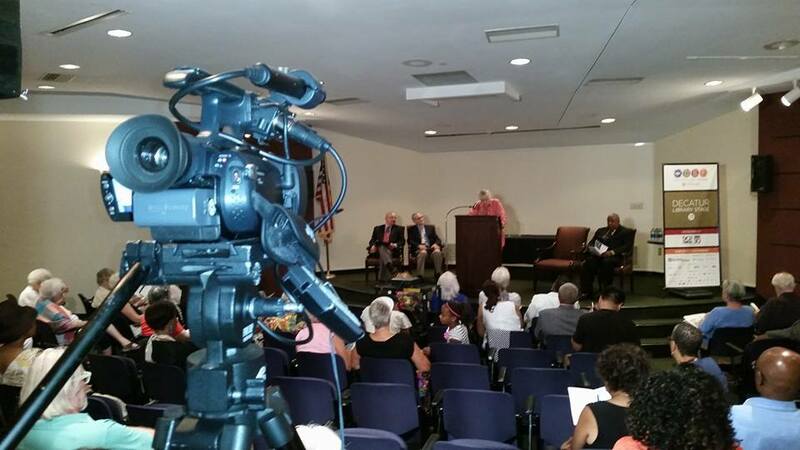 And it was at the initiative of African Americans that the library system finally desegregated . I grew up in Houston . I didn’t learn that the library I grew up loving was part of a segregated system until I was in my thirties and had moved far away. In fact, it was a mention somewhere else that set me on the path of learning more about this system, not only in Houston but in lots of other southern places. As one of my colleagues said, I was attempting to do local history in a lot of different locales. But I think it’s important to learn from the past, not only to try to not make the same mistakes but also to help us think critically about our own practices and policies in the present . When I began this work, it never occurred to me that I would spend so many years trying to document and tell this story. And it never occurred to me that Not Free, Not for All would be given the Lillian Smith Book Award. On August 17, 2017, a federal court ruled that a Louisiana Parish’s at-large voting system deprives black voters of an equal opportunity to elect candidates of their choice in violation of Section 2 of the Voting Rights Act and the Equal Protection Clause of the U. S. Constitution. The Plaintiffs are black voters residing in Terrebonne Parish, Louisiana, and the local NAACP chapter. They challenged Louisiana’s use of an at-large voting system for the 32nd Judicial District Court (32nd JCD), a state court that has jurisdiction over Terrebonne Parish. The challengers claimed that the use of at-large voting for elections to the 32nd JDC denied black voters an equal opportunity to participate in the process and elect their preferred candidates. They also claimed that a discriminatory purpose was the motivating factor in the maintenance of the at-large voting system. In an at-large election system members of a governing body are elected to represent the entire population of a district. 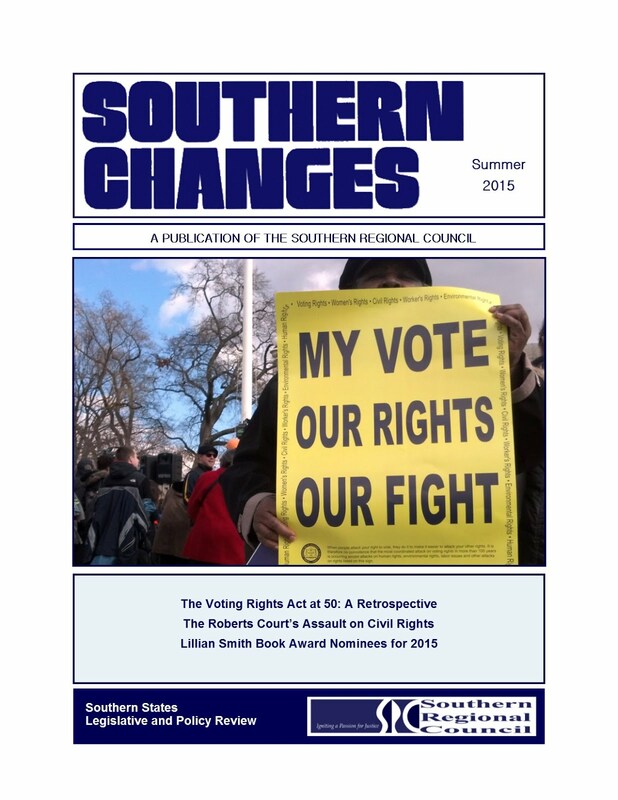 The Voting Rights Act of 1965 prohibits voting practices that discriminate on the basis of race, color, or ethnicity. Vote dilution occurs when a minority group is submerged in a larger population and is unable to elect their preferred candidates as a result of racially polarized voting. 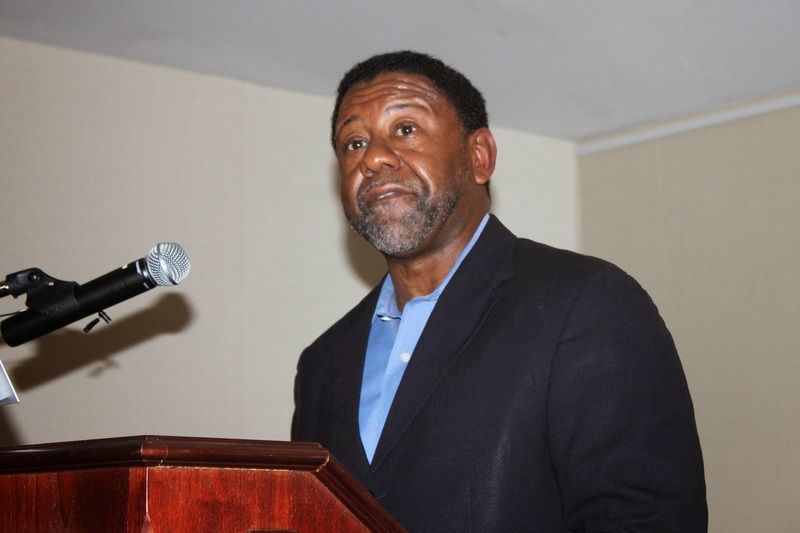 Although Black residents constitute 20 percent of Terrebonne's population, no black candidate has ever been elected to the 32nd JDC in a contested election. The evidence showed that voting in Terrebonne is polarized along racial lines. White voters consistently refuse to support the candidates favored by black voters. Black voters have been unable to elect their preferred candidates. 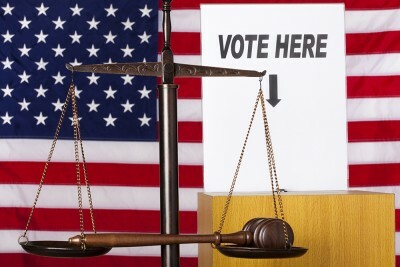 For more than two decades, lawyers, citizens and civil rights organizations advocated for legislation to provide black voters with an equal opportunity to elect their candidates of choice. However, Louisiana lawmakers consistently rejected their proposals. “[The] victory is an example of what can be accomplished when Black communities in partnership with civil rights groups like LDF and other advocates defend our country’s core democratic values," said Victorien Wu, an Assistant Counsel at Legal Defense Fund. “On behalf of Black communities, LDF will continue to challenge voting practices that serve to weaken, discourage, or deny people of their fundamental right to vote.” This is one of several cases that shows discriminatory voting practices persist. They are not a relic of some distant past as Chief Justice John Roberts disingenuously claimed in Shelby v. Holder which struck down key provisions of the Voting Rights Act. 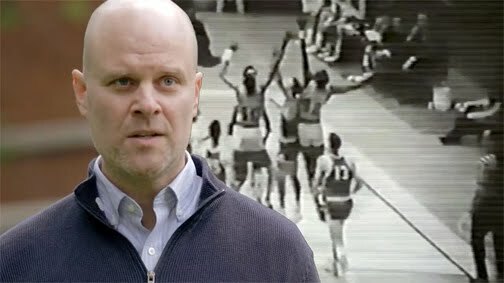 Race discrimination is alive and well in the electoral process. Two exceptional books will be recognized with this year's Lillian Smith Book Awards at a ceremony during the Decatur Book Festival on Sunday, September 3rd. 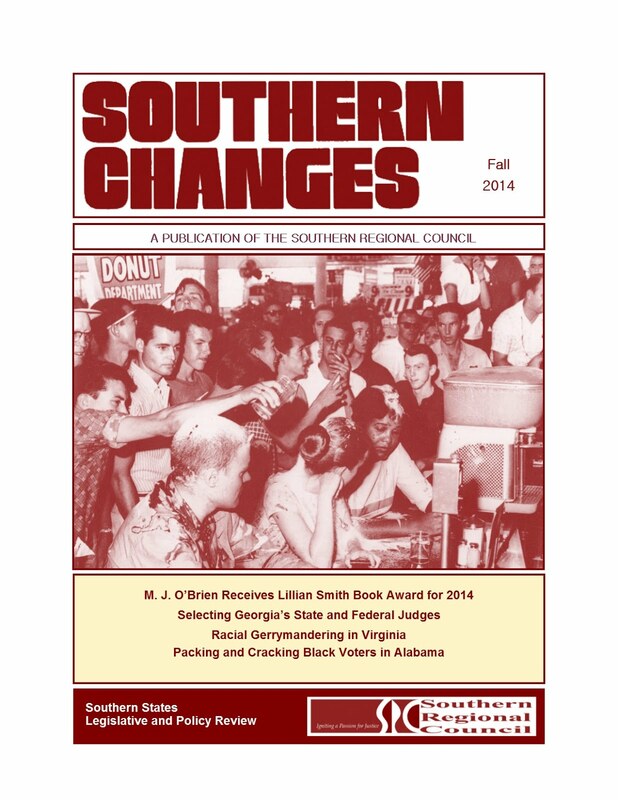 The Southern Regional Council established the Lillian Smith Book Awards shortly after Lillian Smith's death in 1966. 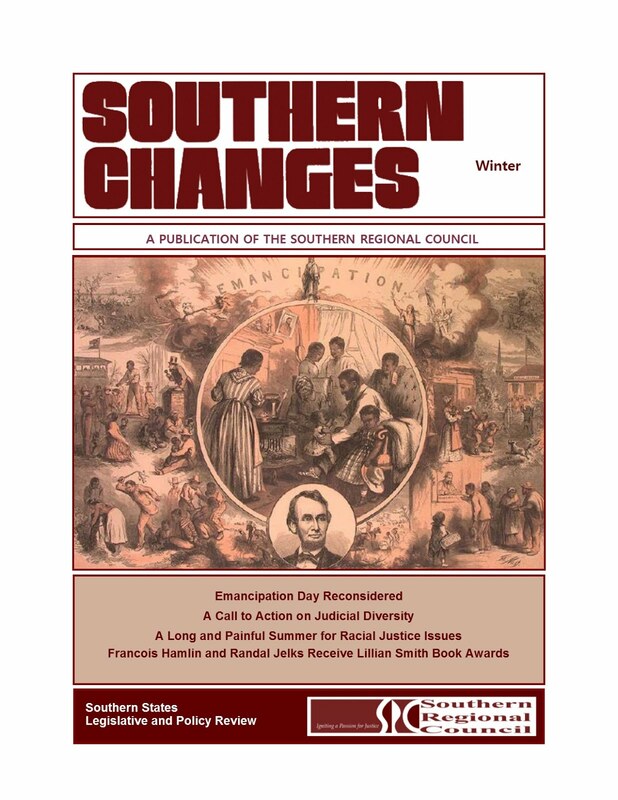 Internationally acclaimed as author of the controversial novel, Strange Fruit (1944), Lillian Smith was the most liberal and outspoken of mainstream, mid-20th century Southern writers on issues of social and racial injustice. Smith’s family donated the collection of her letters and manuscripts to the University of Georgia 's Hargrett Rare Book and Manuscript Library and, in 2004, the UGA Libraries joined the SRC as a partner in administering the awards. 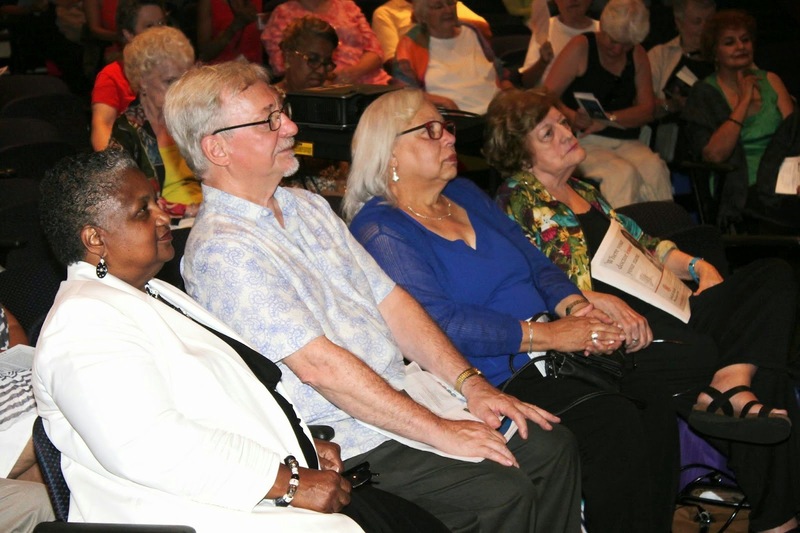 The awards are now presented as a partnership between the Southern Regional Council, the University of Georgia Libraries, Piedmont College (which operates the Lillian Smith Center), and the Georgia Center for the Book (which hosts the Decatur Book Festival). 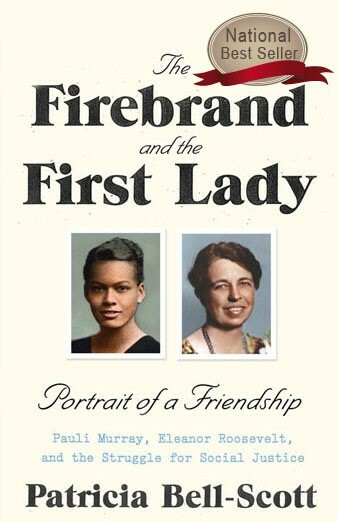 Patricia Bell-Scott’s groundbreaking biography, The Firebrand and the First Lady—two decades in the works—tells the story of how a brilliant writer-turned-activist, who was the granddaughter of a mulatto slave, and the first lady of the United States, whose ancestry gave her membership in the Daughters of the American Revolution, forged an enduring friendship that changed each of their lives, enriched the conversation about race, and added vital fuel to the movement for human rights in America. Pauli Murray first saw Eleanor Roosevelt in 1933, at the height of the Depression, at a government-sponsored, two-hundred-acre camp for unemployed women where Murray was living, something the first lady had pushed her husband to set up in her effort to do what she could for working women and the poor. The first lady appeared one day unannounced, behind the wheel of her car, her secretary and a man Murray presumed to be a Secret Service agent as passengers. To Murray, then aged twenty-three, Roosevelt’s self-assurance was a symbol of women’s independence, a symbol that endured throughout Murray’s life. Five years later, Murray wrote a letter to Franklin and Eleanor Roosevelt protesting racial segregation in the South. 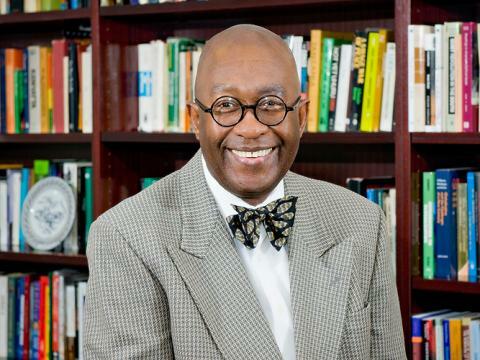 Murray’s letter was prompted by a speech the president had given at the University of North Carolina, Chapel Hill, praising the school for its commitment to social progress. Pauli Murray had applied for and would be denied admission to UNC graduate school because of her race. It was a decades-long friendship — tender, moving, prodding, inspiring — sustained primarily through correspondence and characterized by brutal honesty, mutual admiration, and respect, revealing the generational and political differences each had to overcome in order to support each other’s growth as the transformative leaders for which they would be later known. Of the two extraordinary women, one was at the center of world power; the other, an outsider ostracized by multiple discriminations, fighting with heart, soul, and intellect to push the world forward (she did!) and to become the figure for change she knew she was meant to be; each alike in many ways: losing both parents as children, being reared by elderly kin; each a devoted Episcopalian with an abiding compassion for the helpless; each possessed of boundless energy and fortitude yet susceptible to low spirits and anxiety; each in a battle against shyness, learning to be outspoken; each at her best when engaged in meaningful, important work. And each in her own society sidelined as a woman, and determined to up-end the centuries-old social constriction. Drawing on letters, journals, published and unpublished documents, and interviews, Patricia Bell-Scott, professor emerita of women’s studies and human development and family science at the University of Georgia, presents the first close-up portrait of this evolving friendship and how it was sustained over time, what each gave to the other, and how their friendship changed the cause of American social justice. In 1950s America, it was remarkably easy for police to arrest almost anyone for almost any reason. The criminal justice system—and especially the age-old law of vagrancy—played a key role not only in maintaining safety and order but also in enforcing conventional standards of morality and propriety. Vagrancy laws were so broad and flexible that they made it possible for the police to arrest anyone out of place: Beats and hippies; Communists and Vietnam War protestors; racial minorities and civil rights activists; gays, single women, and prostitutes. As hundreds of these “vagrants” and their lawyers claimed that vagrancy laws were unconstitutional, the laws became a flashpoint for debates about radically different visions of order and freedom. By the end of the 1960s, vagrancy laws were discredited and American society was fundamentally transformed. In Vagrant Nation, Risa Goluboff reads the history of the entire era through the lens of vagrancy laws and shows how constitutional challenges to them helped constitute the multiple movements that made “the 1960s.” As Goluboff links the human stories of those arrested to the great controversies of the time, she powerfully demonstrates how ordinary people, with the help of lawyers and judges, can change the meaning of the Constitution. Since the downfall of vagrancy laws in 1972, battles over what, if anything, should replace them, like battles over the legacy of the Sixties transformations themselves, are far from over. 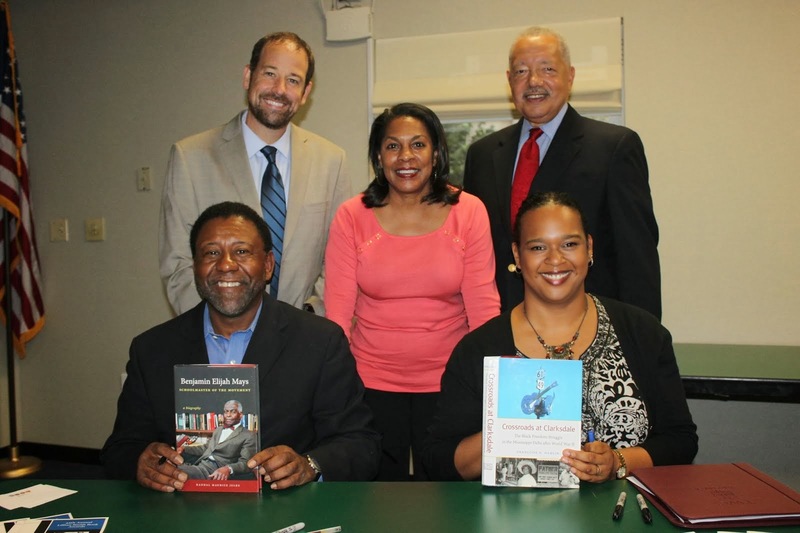 The 2016 winners of the Lillian Smith Book Awards were Cheryl Knott, a professor in the School of Information, University of Arizona, and author of Not Free, Not for All: Public Libraries in the Age of Jim Crow; and Minion KC Morrison, professor in the School of Public Policy and Administration, University of Delaware, and author of Aaron Henry of Mississippi: Inside Agitator.